Publisher: The Macmillan Company, New York, 1905. Condition: Hardcover, no dust jacket. Very good. 2 vols in 1, complete. Minor signs of wear on cover, including very slight fraying to top of spine. More than 800 pages, app 9″ by 6″. A very heavy book, overseas shipping will cost extra. 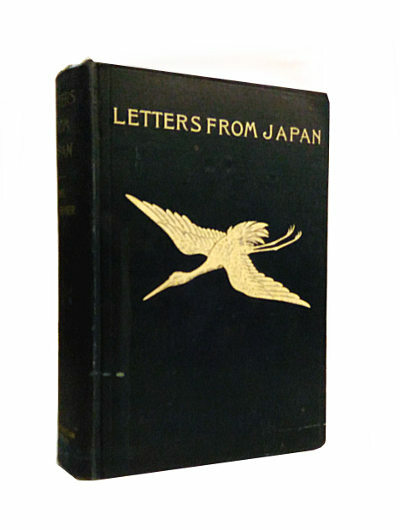 Letters by the wife of a diplomat stationed in Japan. 2 vols in 1, with numerous black-and-white plates. 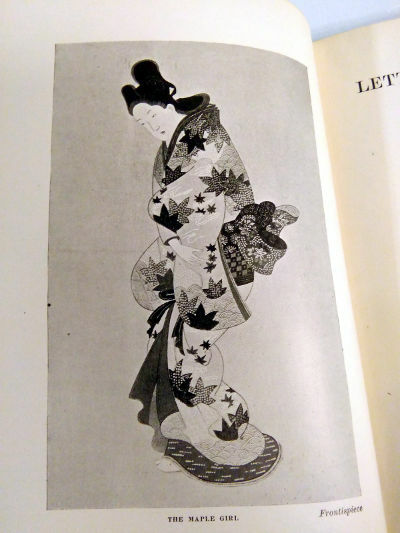 In the following letters, written during a three years’ residence in Tokyo, no method was followed beyond that suggested by the interest and the fancy of the moment; no detailed description was attempted of Japan, her history and her customs and her philosophies. In the times when every foreigner saw the same sights in the Island Empire, obtained the same stereotyped glimpses of people’s life, and was contented with the half-comprehended information given by his guide, it was easy, and alas! fashionable, to describe the “toy country” and its “fairy-like” inhabitants with glib security in large print. Those times are gone forever. Japan has set the doors of her secret shrines ajar, so that we can at any rate take the first step in wisdom, and realise how little we know. Those who, like myself, have had the privilege of spending long years in the country, with liberty to “visit any spot and remain in it for any length of time,” become gradually aware of the many-sided and complex character of the people, – simple to frankness, yet full of unexpected reserves, of hidden strengths, and dignities of power never flaunted before the eyes of the world; surprising and majestic as some of those indescribable mountain views in the central hills, where from a flowery rise in a meadow the amazed traveller finds himself on the verge of a dizzy precipice, looking out on a world where the primeval forces appear to have that moment ceased their play, where some great city of giant towers and ramparts, temples and palaces, seems to lie at his feet, overthrown and tossed upon itself as the bricks that the child builds high, and then dashes down for the joy of their fall. Mary Crawford Fraser (April 8, 1851 – 1922), usually known as Mrs. Hugh Fraser, was a writer noted for her various memoirs and historical novels. 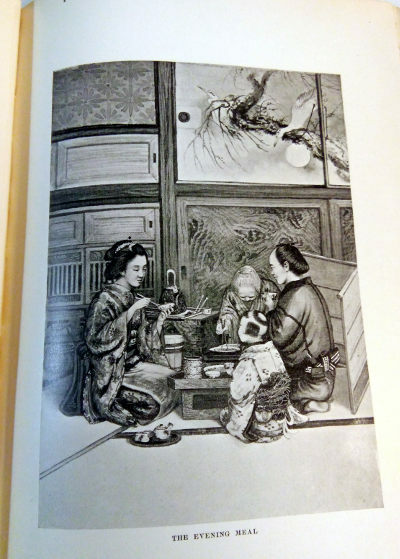 As the wife of British diplomat Hugh Fraser, whom she married in 1874, she followed her husband to his postings in Peking, Vienna, Rome, Santiago, and Tokyo. In Rome in 1884, over the opposition of her mother, she converted to Catholicism. 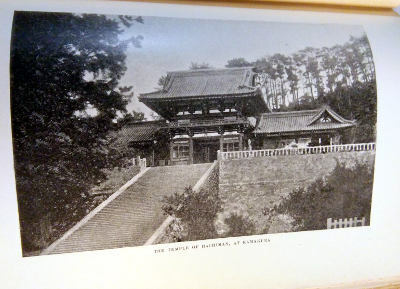 In 1889, her husband Hugh Fraser was posted to Japan as “Minister Plenipotentiary and Envoy Extraordinary (head of the British Legation) to Japan—a diplomatic ranking just below that of full Ambassador. before the establishment of full and equal relations between Britain and Japan which Fraser was, in fact, negotiating. A month before the signing of the final treaty, her husband died suddenly in 1894, leaving her a widow after twenty years of marriage. 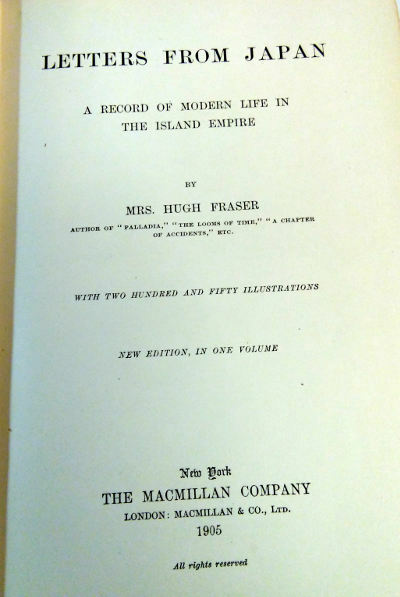 Still under her married name of Mrs. Hugh Fraser, she was the author of Palladia (1896), The Looms of Time (1898), The Stolen Emperor (1904), The Satanist (1912, with J. I. Stahlmann, the pseudonym of one of her sons, John Crawford Fraser) Haining (1971) considered that Fraser’s “The Satanist” was one of the stories of the period which set the standards for 1960s occult fiction and is reflected in the stories of August Derleth and Dennis Wheatley.